WOODWARD — Clarkbuilt, Inc. | General Contracting & Carpentry Portland, OR. 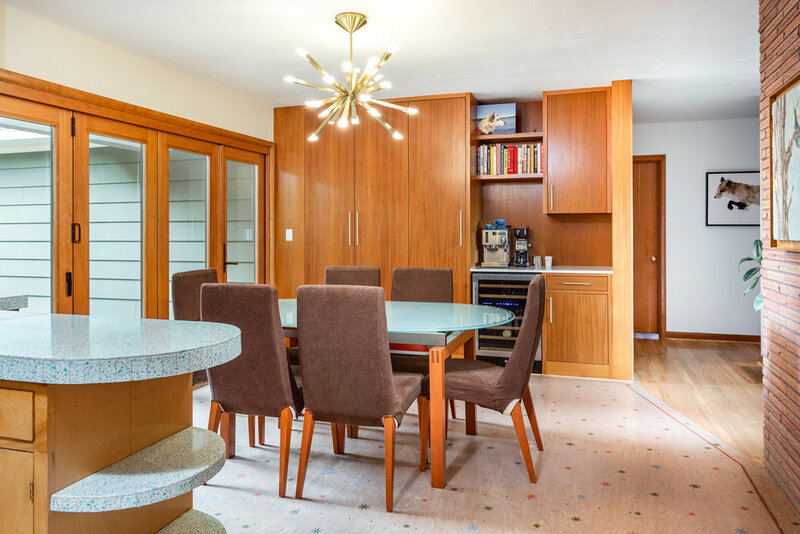 A gem of an existing mid century Portland ranch that we were able to seamlessly add a master ensuite. The kitchen/ dining area had a slight reconfiguration with the addition and we added the large built in cabinet and new sliding glass door units. All sorts of fancy tiles at the bathroom with a unique fireplace at the bathtub. Nothing was spared on this and our cabinet shop executed the built-ins and furniture style vanity brilliantly. 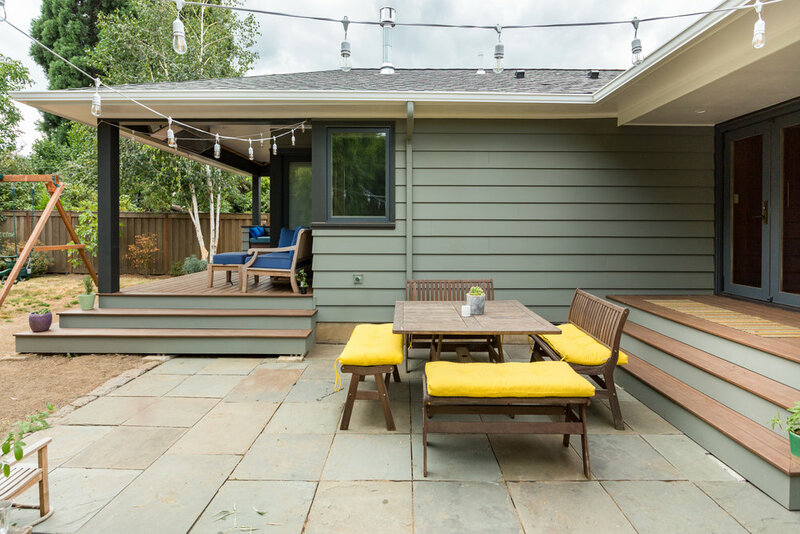 Not pictured is the basement work also fit into the budget with addition of egress to formalize a space as a bedroom, an existing bathroom and laundry remodel.